In our fast-moving world, it seems like companies have no choice but to be innovative. Everyone is searching for a way to stand out amongst the noise, crush their competitors, and drive revenue higher as business costs climb. Being an innovation-forward business may not be as technical as it sounds. Rather, this begins with leadership, feedback and processes. 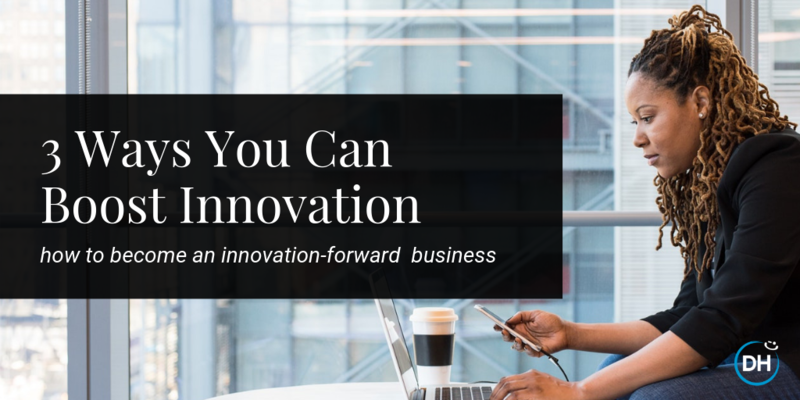 Use these ideas to become an innovation-forward business and take the first steps toward being the best in your industry. Becoming an innovation-forward business will require you to take risks. It’s the job of leadership to not only encourage employees to take those risks but to be prepared for the mistakes that will be made along the way. “You are going to find yourself in difficult situations, you are going to fail, you are not always going to be first—how you bounce back from these situations will define who you are and the level of success that you can reach. Learn from every situation, but don’t take too long or someone else will pass by you,” suggests Kevin Sealey, VP of Operations for EPOCH. This needs to be the leadership mentality. Not only must you be prepared for those risks, but it’s critical that you develop a culture of reflection within the company, allowing you to quickly and efficiently identify what went wrong and how to correct course. Encourage “failing loudly,” a term referenced by David Isaac Murray, member of the Forbes Technology Council. He says, “The best way to encourage loud failure is to create an environment with arguably the most important team dynamic of psychological safety. This includes providing ample opportunities for employees to speak up and feel safe speaking their minds.” How do you do this? Murray suggests getting and giving regular feedback with tools like happiness surveys and management reviews. 1. Innovation: Constantly experimenting with new features and ideas so you can be the first—or best—in the marketplace. 2. Processing: Sharing information quickly within the organization; ideally faster than your competitors. 4. Continuous improvement: Building on something that already exists, like a current product or service offering. 5. Customer responsiveness: Agility is a customer-driven concept; keeping customers and bringing in new ones with a better or newer product is critical. Being responsive is necessary to attain retention. 6. Problem-solving: More specifically, creative problem-solving and using it regularly. 7. Changing direction: “The agility to change direction is a culmination of the other six agile performance dimensions.” I.E., to innovate is to change direction; problem-solving is often about thinking outside the box—and therefore, changing direction. Develop or update your company mission with the agile approach in mind. Make this a part of the way the company functions, from customer service to company-wide sharing, to bring innovation to the forefront of everything that’s done within your business. It’s easy to micromanage employees—and then make sure that they do whatever they’ve been tasked with. It’s harder to let go of control and give them the freedom and autonomy to decide how to do their job, based on the strengths you hired them for. It’s even harder to understand that some of the best, most innovative ideas, come from employees. Did you know the idea of a Post-It Note came from a 3M employee? Provide a safe space for employees to share ideas and feedback. Ingrain innovative thinking into the company culture. Eliminate roadblocks, like office politics. Find balance—coming up with innovative ideas is important, but so is running the business. Consider initiatives like an Intrapreneur Program, or Google’s 20% project, giving employees time at work to develop innovative ideas that could move the company forward. With a similar structure in place, you find that balance between creating and innovating and staying focused on what the company needs here and now. If you’re thinking about how to make your company more innovative, you’ve already taken the first step. Now it’s time to put that idea into play and see how you can make it work within your organization. Use these ideas to fuel the innovative fire burning within your team and build a company everyone can be proud of. 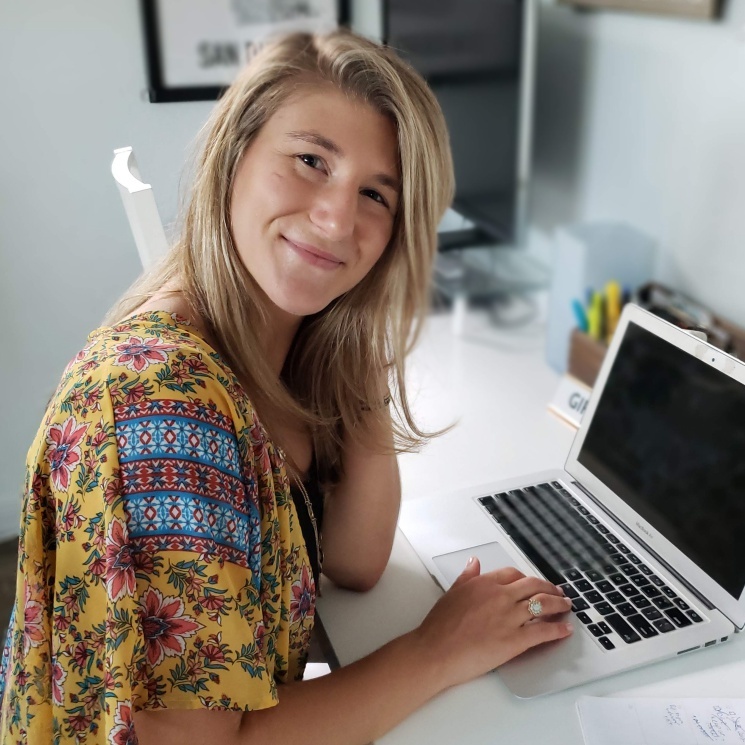 Jessica Thiefels is an entrepreneur and founder and CEO of Jessica Thiefels Consulting, with having worked at both small startups and worldwide organizations in her previous work. She’s been writing for more than 10 years and has been featured in top publications like Entrepreneur and Forbes. She also regularly writes for Business Insider, Virgin, Glassdoor and more. Follow her on Twitter @JThiefels and connect on LinkedIn.